The Lord has given man an environment of “extraordinary beauty,” however, it is often assaulted by the frenzied desire for profit. To repossess it, it is opportune today to reflect on the model of sustainable development. This, in short, is Pope Francis’ Message for the Fraternity Campaign organized by the Brazilian Church for Lent, published today, March 1, 2017. This year, the event is focused on the theme of ecosystems and the defense of life. The Pontiff’s reflection begins precisely with Brazil, whose environmental beauty he acknowledges. “The Creator was generous with Brazil, in as much as He granted it a variety of ecosystems of extraordinary beauty,” he wrote. But, unfortunately, present also are signs of aggression to Creation and of deterioration of nature, he adds. Francis then recalls the Brazilian Church’s commitment to the care of the environment and of the poor, as well as to the study of the causes of the ecological problems and the ways to overcome them. According to the Pope, this campaign solicits us to be grateful for and to respect “the diversity of nature, which is manifested in the diverse ecosystem of Brazil – a real gift of God – through the promotion of respectful relations” with the peoples that live in such contexts. This is one of the greatest challenges in all parts of the earth, because environmental degradation is always accompanied by social injustice,” stressed Francis. Finally, the Holy Father mentions the indigenous peoples, describing them as a model “of the way coexistence with Creation can be respectful,” fruitful and merciful. 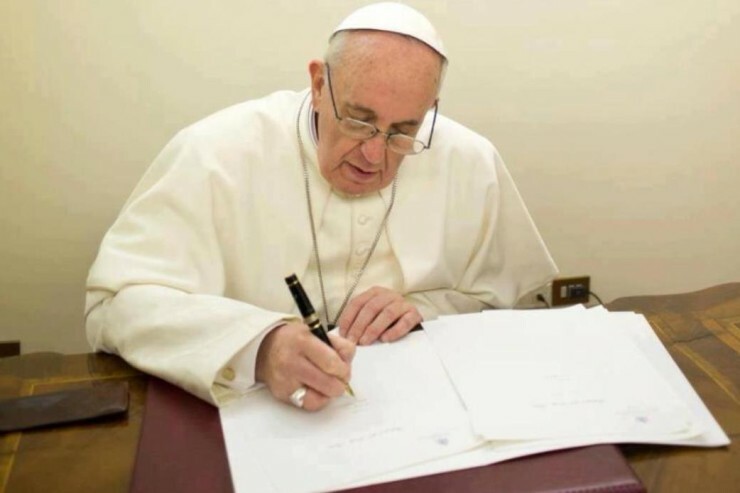 Looking at them, it is “possible to find a sustainable model that can be an alternative to the frenzied desire for profit which exhausts natural resources and harms the dignity of the poor,” concluded the Pontiff.